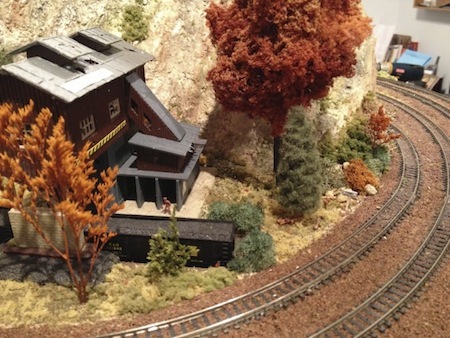 WELCOME to the 26th issue of BYMRr-Zine - a newsletter published by Building Your Model Railroad, devoted to providing breaking news and tips to model railroaders of all ages and all scales in a quick and easy-to-read format. Resources are always credited where appropriate. Hint: Click on the pictures below to link to more information on the BYMRR.com website. Why go to the expense of buying a physical fast clock when you can purchase a virtual fast clock app to put on your iPhone or Android device. The app is called “Fast Clock” by Kevin Snow. It’s very easy to use and has customizable faces and backgrounds. You can also customize the speed of the clock in various ways. It's available for download from the App Store. You can even use it on your iPad and set it up in the train room so everyone can see it during an operating session. First, you have to add up the amps for all of the of locomotives that you want to have running at any one time. Look at the information that came with each loco when it was purchased if that is available. If you don't have that information, you may be able to look it up online or use an amp-meter to measure the current draw from the system when only that loco is running. Add up all the amps required to run the maximum number of locomotives that you want to run at the same time. Then, add up the number of amps of lights and other accessories that are attached to the track for their power. Add up all those amps and then you have an idea of what size booster you need. A large layout may require anywhere from 5-15 amps. You may have to buy 2 or 3 boosters and put them in series. The manual that comes with the booster should show you how to do that - usually by using an RJ-45 cable. 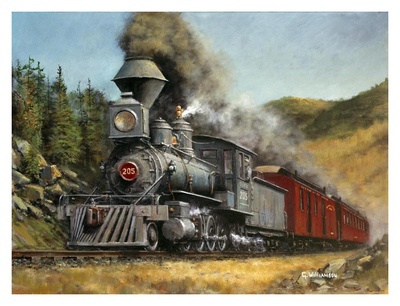 For more information see the article “How to Figure Power for a DCC System” in the April 2013 issue of Model Railroader. 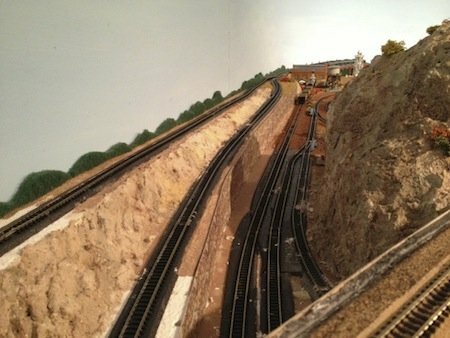 Most of us have used cork or foam-type roadbeds to help deaden the sound and provide a smooth surface on which to lay tracks and ultimate run our trains. Another type of sound-deadening roadbed that can be used is a material called Aerotape. It can be found in the plumbing/insulation section of most hardware stores. This is a neoprene material that is simple to use, works well and is not very expensive. 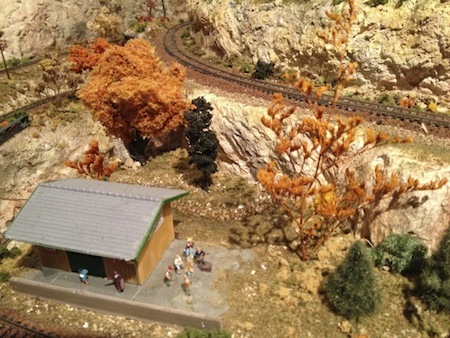 (This was highlighted in the April issue of Model Railroader by Joe Gill of Mimbres, MN. ~ Variety is the rule when it comes to scenery. All the trees and bushes shouldn't be exactly the same color, shape and size. It's just not realistic. If you buy trees that are already made and are all the same color, try dipping each one in hot water for a variable period of time from 1-2 minutes to wash out some of the dye. You can also spray some of the trees with hairspray and sprinkle on some varying shades of ground foam to add different shades of color and different textures. ~ Another tip along the same line is that you can change the season from summer to fall fairly easily just by spraying the green trees with hairspray and sprinkling on varying shades of ground foam in fall colors - yellow, red, orange, etc. ~ Install some dark blue overhead lights in your train room that can be operated by a different switch (preferably a dimmer switch) than your regular lights. When your fast clock approaches evening hours, you can gradually dim the regular overhead lights and slowly increase the intensity of the blue lights. In full night mode, you will have a pleasing hue of moonlight under which to run your trains. ~ Consider using kitty litter (preferably before using it as actual kitty litter) for desert-like ground cover. Mix in sifted sand or tan grout and glue it down with diluted white glue. Add some sparse bushes, cacti and static yellow grass. ~ Stack up some pieces of pine bark mulch on the layout to create a simulated shale rock retaining wall. Glue the pieces together. Then glue in some vegetation in the cracks between layers of the pine bark. You could even use some terrarium-type air plants . ~ Use your imagination. 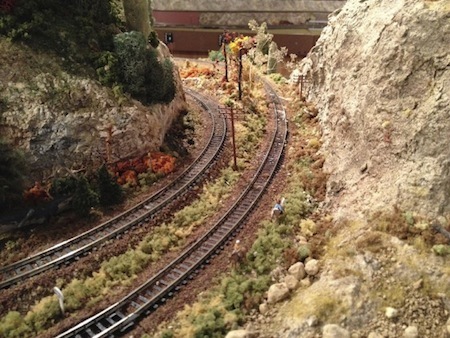 Look at everything in your environment as something that you could potentially use to create a scene on your layout. Pine cones, pine-bark mulch, sand, gravel, cement, baseball dirt, black sifted dirt that you find around the development of new roads, gauze, mesh, sticks, branches, sage, carpet, corduroy, scrap plastic parts from old building kits, tin foil, nails, toothpicks, Q-tips, old newspaper, magazine ads. The list goes on and on. That's part of the fun - creating something out of nothing! 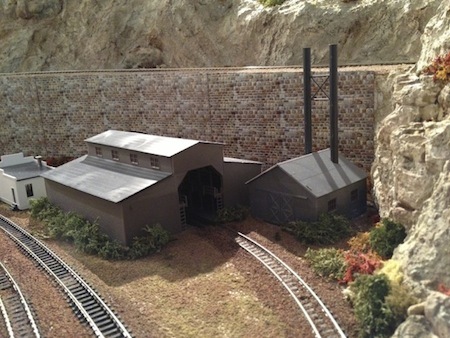 If you have a layout that you think would qualify for this spotlight or if you know someone who does, please send me an email at gregwarth@building-your-model-railroad.com. Browse our local online bookstore at the Track Stop. Buy all your supplies here! Trains, tracks, electrical supplies, scenery, tools, paints, weathering supplies, buildings, locomotives with or without DCC, freight and passenger cars. Available in all scales from 12 major manufactures!